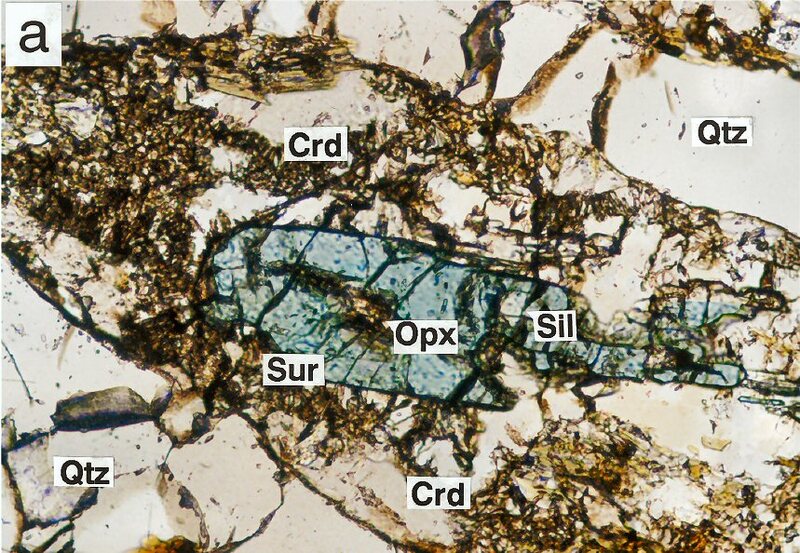 Comments: PPL thin-section image of blue surinamite (Sur) enclosing orthopyroxene (Opx) and sillimanite (Sil) with corderite (Crd), and quartz (Qtz). AmMin, v65:1474. Location: South Harris Igneous Complex, N.W. Scotland.